This exclusive institutional gathering brings together the most important real estate investment vehicles, institutional allocators and private wealth investors that are actively investing and developing across the United States and Canada. 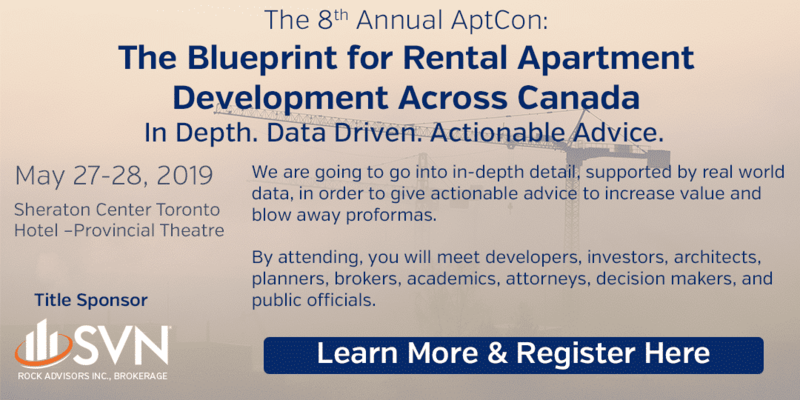 Over 250 of the leading Canada and US based private equity real estate funds, institutional investors, family offices and other real estate professionals will come together to network and discuss investment opportunities, allocations, and the performance of all real estate related asset classes across these markets. It is our intention that this meeting will serve as a catalyst in generating increased cross border institutional real estate transactions between Canada and the United States in the years to come. Passionate senior leader motivated by building & executing national scope, client-centric mandates containing a core wealth planning focus. Tenure includes 15+ years of wealth management experience, 12 of which in affluent markets with BMO Financial Group. Most recently, as Director, Private Wealth Planning with BMO Harris Private Banking. Currently leading the international growth strategy for PANGEA Private Family Offices. PANGEA Private Family Offices is foremost a family wealth strategy firm serving first & second generation creators of significant wealth, and their families with independent thinking that redefines their wealth experience. PANGEA Private Family Offices specializes in resolving complex family wealth issues for enterprising global families with thoughtful guidance and insider perspective. Our purpose is to help global families flourish for generations..
Michael James Delmar is the CEO of Del Capital, a Montreal based Single Family Office. Prior to DelCapital he was the Senior Director of Real Estate Investments at PSP Investments where he was responsible for deal origination, joint-venture structuring, acquisitions, asset management and dispositions in North and South America as well as in Europe. Drew is a real estate investment and development professional with 20 years of experience in raising capital contributions, acquisitions, project design and construction, and securing financing from lending institutions. Drew manages investment structure, investor relations, and debt/equity procurement for Titan Development. Drew’s development expertise includes office, industrial, retail, and multi-family development, including distressed acquisitions and loan purchases. Drew is intimately involved in the new Titan Development Real Estate Fund I, a $200M private equity fund that closed in September of 2017. Prior to his recent exploits, Drew led the creation of a multi-family development partnership between Titan Development and Alliance Residential Company. Drew has also championed Titan Development’s growing self-storage portfolio by establishing a strategic relationship with Extra Space Storage. Mr. Healy is founder and EO of Civitas Capital Group, a private investment management firm focused on niche, differentiated investment strategies in real estate, loCdging, and alternative credit. The firm is managing approximately $1.3 billion on behalf of both institutional and qualified individual investors from over 30 countries. Since founding Civitas in 2008, Mr. Healy has been responsible for all facets of the firm’s growth, including the origination, structuring, and management of investments. Mr. Healy has combined Civitas’s broad expertise across property types with its relentless creativity in deal structuring to build with a firm with an unparalleled reputation for quality and analytical rigor. The growing Alternative Investments group focuses on managing global capital for insurance companies, pension funds, family offices, and other clients; the EB-5 Capital group has become an industry leader, frequently cited for its innovative public-private partnerships. Mr.
Healy is most proud that the firm lives its purpose every day: to create opportunities that enrich people and their communities. Steve Apostolopoulos is the Managing Partner of Triple Group of Companies (TGC), a Toronto-based full service real estate firm specializing in the purchase, leasing, development and management of commercial space. He is also the Co-Founder and Chief Development Officer of Triple Properties, a privately-owned enterprise engaged in real estate investment, development, asset management and leasing. Mr. Steve Apostolopoulos is the founder of Six Ventures Inc., a private equity venture fund. An entrepreneur by nature, Mr. Apostolopoulos contributes to a wide variety of philanthropic organizations with his family. CEO, SVN CanadaDerek Lobo is the CEO of SVN Canada Inc. Derek is regarded as a knowledge expert in the Student Housing field and in the Apartment Industry and has provided numerous seminars and training programs for every level of apartment professional, ranging from owners and property managers to leasing agents and on-site personnel. His extensive knowledge of the industry has placed him as an in-demand presenter and consultant throughout North America. Carmo Companies is a New York based institutional capital introduction consulting firm and professional conference organizer. We work with the most reputable real estate-related operating platforms to establish capital raising relationships with leading private equity real estate funds, institutional investors and private wealth groups located in emerging market countries. Currently, Carmo works as an investor relations adviser with some of the leading real estate development groups and family offices based in the United States, Mexico, Brazil, Colombia, Peru, Panama, Costa Rica, and Argentina. Next:Housing Market Steadies; Impact for Apartment Developers?